Disaster in Fairyland! Jack Frost has stolen the Music Fairies’ magic instruments to cheat in a human talent competition. But now humans will find out about Fairyland, and all the fairies will be in danger! 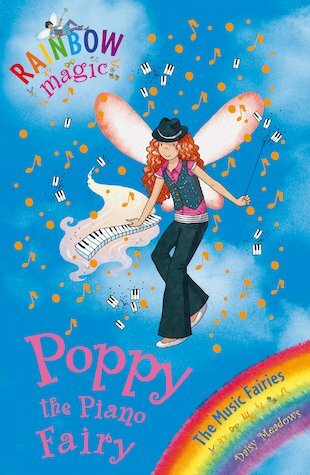 Poppy the Piano Fairy is miserable without her magic piano. But can Rachel and Kirsty help to outwit Jack Frost and his goblin henchmen? seriesly loved it i have a crush on rainbow magic loved it!! !i want to marry it!!!!!!! it`s a brilliant book for me because I love music and I can play the Piano. I hope you like it.